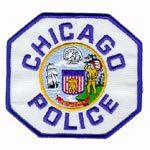 Beat 1914 (the area bordered by the lake, Montrose, Broadway, and Lawrence) is having its bimonthly CAPS meeting tonight at 7pm. It's held at the Clarendon Park Fieldhouse, 4501 North Clarendon. It's a chance to find out crime statistics for the past couple months in the area, speak with police officers, a representative from the alderman's office, and your neighbors about what's going on in your community and what to do to help make Uptown safer.